Too cool dudes lounging on a back deck at Sunset Beach, 1989. Robert Earl Ley, Jr., left, and his grandson, Colt Foutz. Happy 100th Birthday, Robert Earl Ley, Jr.
I’m a bit late to the show with this one. One of the joys of digging into genealogy is, for me, not just discovering the names and dates and wheres and whens of ancestors back, back, back, back up the family tree, but the stories. Nothing seems to crystallize all of that information in a personal, intimate way than discovering photographs of our relatives from long ago. I’ve been able to gaze upon great-grandparents, dead long before I was born, and in some cases barely a memory to my parents, and feel that connection. But there’s a similar tickle in collecting photos of your familiar grandparents and parents from a time before you were even a glimmer in their story. To see their familiar faces as infants, or teenagers, or off to college. To imagine their thoughts and hopes and dreams at a moment where they can’t see the future we are only too well-versed in as our family’s history. How much more poignant it is, then, to gaze upon photos in order chronicling an entire life. On the 100th anniversary of my grandparents’ births, we did that, first for grandpa Don Foutz’s birth, then for Grandma Sue Weible Ley. We’ll have to wait a couple years for Grandma Erma Johnson Foutz, the youngest of the bunch, born in 1920. But Grandpa Robert Earl Ley, Jr., is up this year, a few months later than Grandma, and now, a few months after the fact. Maybe it’s because I was blessed to grow up just down the road and across the town from my mother’s parents: I was used to seeing them in so many daily situations, and at holidays, and birthdays, and just ordinary Saturdays, that the collection below seems so skimpy. That I ought to have more words to say. Though, I guess I have said them in this space many times. And I’m well aware of albums and slides and troves of photographs that exist elsewhere, which leaves me to wonder and worry about this selection being incomplete. Not really a chronicle, then, but a collection of images that capture the way Grandpa was throughout his life. From the remarkable infant portrait of him with his mother, Zula, to the shot a short few years later with his father, Robert Sr., knowing that they both had already lost that remarkable, dynamic mother and wife when Grandpa was only 2 — and the sister that might have joined their family portrait. Grandpa would spend a time with his Fisher grandparents while his father rebuilt a life and remarried. Snapshots of grandpa in the 1930s show him after rejoining his father and stepmother, and, for a time, a little half-brother, Dickie, who would tragically succumb to illness before age 6. He followed his father’s path into dentistry and public service, and early shots from college yearbooks capture him in the band and on the football team at Ohio Wesleyan as an undergraduate, then transitioning from OWU’s Delta Tau Delta fraternity to graduate school for dentistry at Ohio State, where he’s a fixture on the Psi Omega fraternity page. Grandma and Grandpa, who’d known each other since their days as Dover schoolmates, were married during a busy time that saw Grandpa enlist in the Marines and serve in World War II. Upon returning home, he thrust himself into civic life, earning election as an at-large city councilman was he was still in his thirties (following a long line of Leys in politics), and working alongside his father, Robert Sr., in their dental practice, by then longest standing in Tuscarawas County. Snapshots from the 1960s record his civic life (happily, I was able to see these shots in the archives of the local paper), and by the 1970s, his family had grown to include daughter- and sons-in-law, and grandchildren. Some of my first snapshots, on a Kodak Instamatic camera I’d gotten for Christmas (with the disposable flash bar) are of Grandpa and Grandma at home on Parkview Drive, or vacationing with them at Sunset Beach, NC. Life moves irrevocably forward, and it’s been years since I felt I could still drive up to their house, park by the big pines and walk right into their kitchen to find them sitting around their big, circular table on the other side of Grandma’s purple kitchen cabinets. A last photo in the series below is a poignant shot later in the year after grandma died, when we were able to introduce Grandpa Bob Ley to one of his namesake descendants, Jonah Robert Foutz. Yeah, I guess there’s some magic in my small collection after all. And a lot of memories. Love you, Grandpa. A 1918 portrait shows my great-grandmother, Mary Zula Lucrece (Fisher) Ley, and her newborn son, my grandfather Robert Earl Ley Jr.
A very young Robert Earl Ley Jr. and his father, Robert Sr. My grandpa would sometimes accompany his father as they worked their bird dogs in the Ohio prairie country. A snapshot of Grandpa Robert Earl Ley Jr. in the early 1930s. 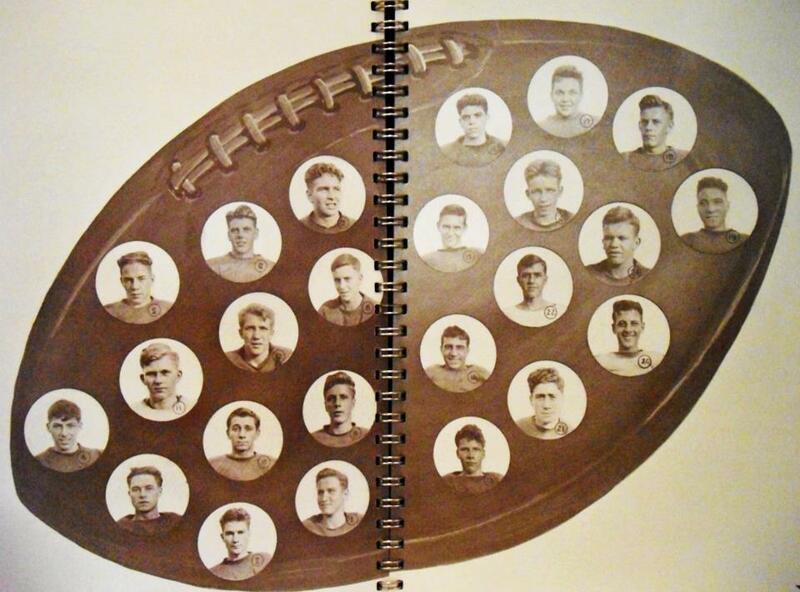 After graduating Dover High School in 1936, he first attended Ohio Wesleyan, where he played freshman football and joined the marching band and Delta Tau Delta fraternity. 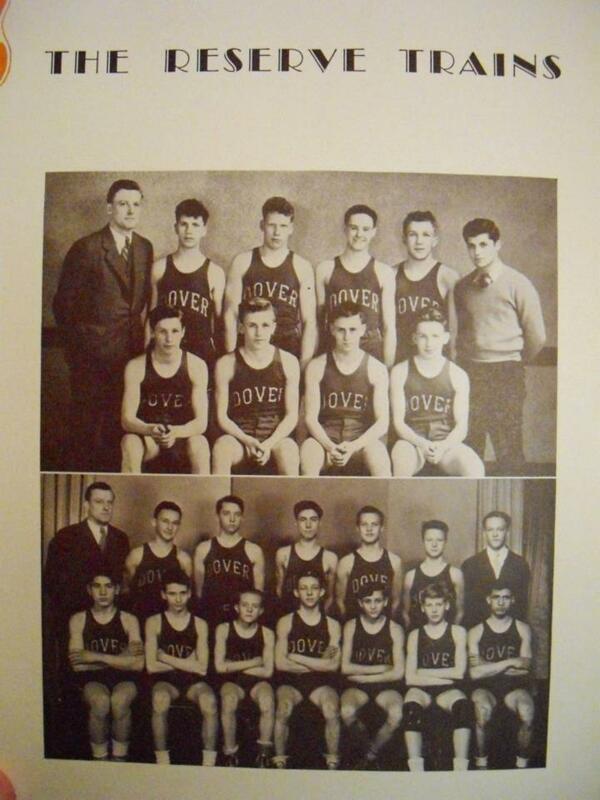 Bob Ley, back row, on the reserve basketball squad. Bob Ley as an undergrad at Ohio Wesleyan was in the band. Bob Ley was a member of Delta Tau Delta fraternity at OWU. 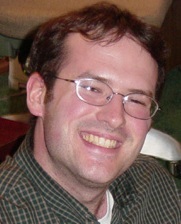 The former DTD-er at OWU had joined Psi Omega (dental fraternity) at Ohio State. 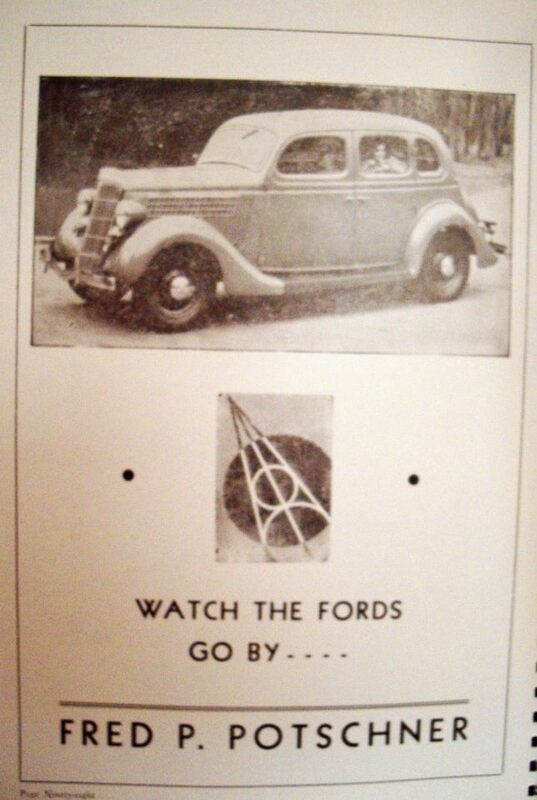 1942’s Psi Omega page at Ohio State. Fast- forward to 1943 when Grandpa attended dental school at Ohio State. In this picture from the 1940s, Colt’s grandpa, Robert Earl Ley Jr., stands by the dental college at Ohio State, where he completed his DDS after undergraduate studies at Ohio Wesleyan and Baldwin Wallace colleges. He would return home to Dover and succeed his father in their dental practice, eventually retiring in 1991. Grandpa Robert Earl Ley Jr. in a 1955 Republican announcement for his reelection as Dover city councilman. Robert Earl Ley Jr. (right) returned home from Navy service in World War II to rejoin his father, Robert Earl Ley Sr. (left) in their dental practice in Dover, Ohio. Grandpa Ley in Dec. 1960, as the timestamp indicates, at 42. Grandpa Robert Earl Ley Jr.
Circa 1978. This hung in my grandparents’ kitchen for a long time. Front, from left, Colt, Robert Jr., Dan, Sue, Jennifer, Liz. Back: Nikki, David, Andrea, Doreen. Robert Earl Ley Jr. and Suzanne Abbott (Weible) Ley at their home in Dover, Ohio — 1987. Grandma Sue Weible Ley, grandpa Bob and grandsons Sam, Dan and Colt. There’s that Georgetown hat again!!! From 2007: An ailing Robert Earl Ley Jr. and his great-grandson, Jonah Robert Foutz. The 1950s were a busy decade for grandpa Robert Earl Ley Jr. In addition to serving as at-large city councilman for Dover, Ohio, he headed county dentists and was an active voice urging for fluoridation of water supplies to counteract tooth decay in 94% of area school children. 1950s Busy for Dental Ed, R.E. Ley Jr.
From the moment the first Leys in our family left Bavaria and settled in Tuscarawas County, Ohio, they threw themselves into the lives of their community. Fourth great-grandfather Karl Ley, a saddler and Civil War supplier for the Union Army, also served on the local school board in Shanesville. Wife Susanna Vogelsang Ley, also a German immigrant, was elected president of the women’s guild. Son Augustus established the first creamery in the county and was proprietor of a long-running dry goods store on the canal in Port Washington. He also served as treasurer and clerk for Salem Twp. 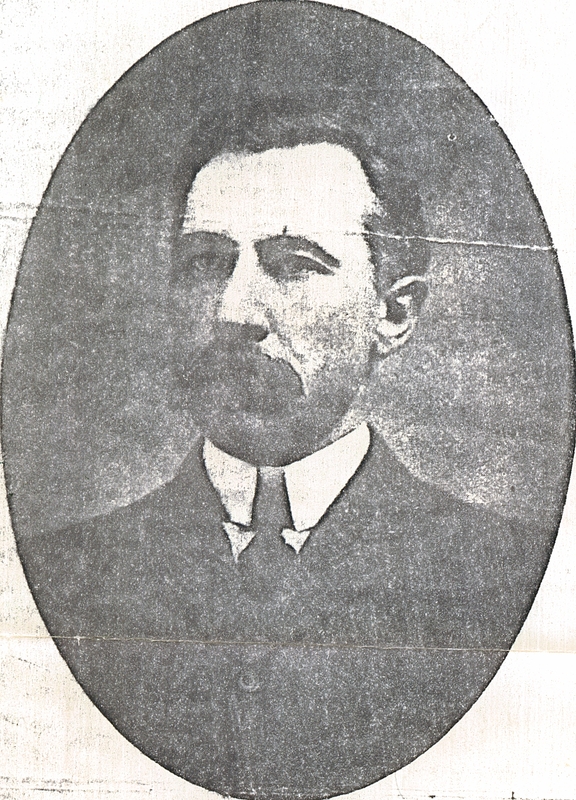 Grandson Charles Henry Ley served on the board of education and city council before gaining election and reelection as Tuscarawas County treasurer from 1911-15. And great-grandson Robert Earl Ley Sr. — my great-grandpa — after first assisting his father in the treasury office, was a charter member of the Dover Kiwanis Club, a member of the Masonic Lodge in New Philadelphia and of the Shrine and affiliated organizations, in addition to heading up the Tuscarawas County Dental organization. Which brings us to the ambitious Robert Earl Ley Jr. Carrying on a family tradition of service, Grandpa Ley would serve on the Dover City Council and participate in Dover Kiwanis, Dover American Legion, Dover Lions Club (as president), Dover Elks Lodge No. 975 (as exalted ruler), the Dover Masonic Lodge (achieving 32nd degree), Tadmor Shrine, Royal Order of Jesters, and Chef de Gare of the 40 et 8 Voiture 117. Probably, grandpa was at his most civic-ally bustling during the decade of the 1950s. 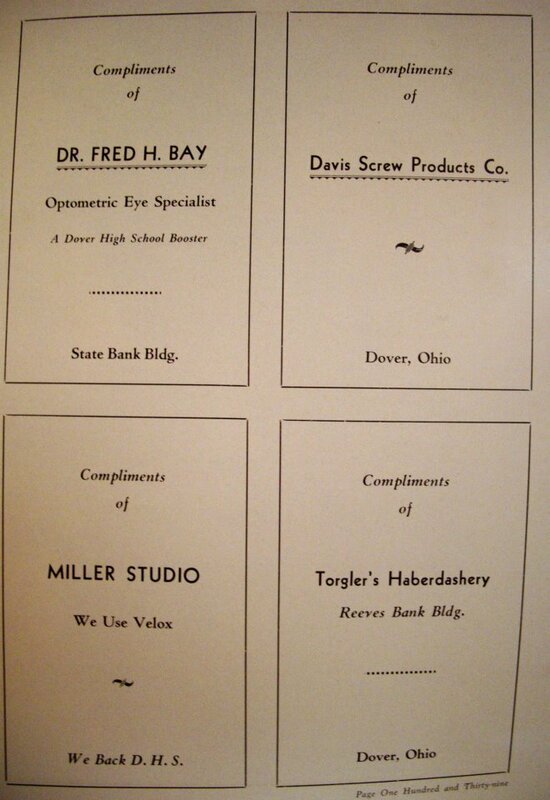 In addition to his role as councilman-at-large in Dover, in 1954, his election as president of the Tuscarawas County Dental Society melded his professional and public lives, and gave him the stage for proposing a contentious. but noble, idea: the fluoridation of the public water supply. 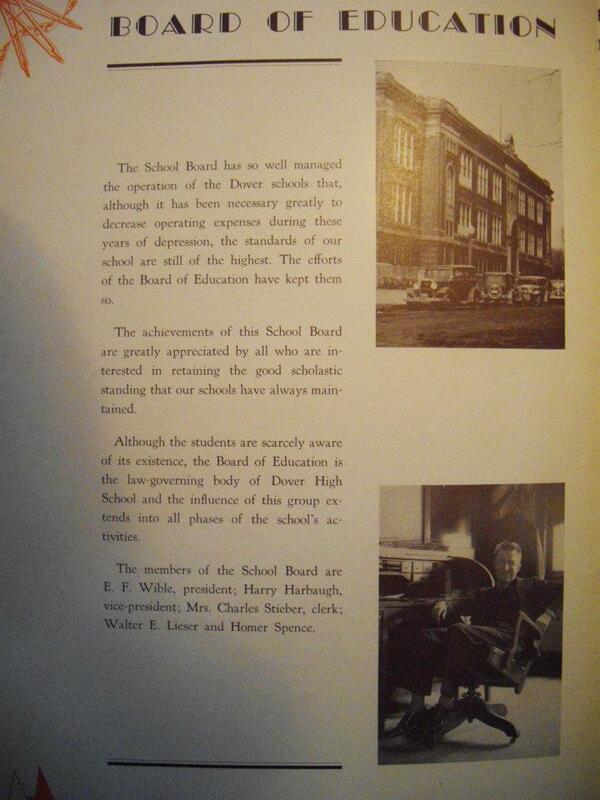 The discussion seems to have kicked off with particular fervor around 1953, when a state board of health trailer stopped in town to check for tooth decay in elementary school children. The findings were shocking: 94% of the more than 5,000 kids surveyed were found to have dental problems, according to the reporting of Paul Mico, county TB health educator. Dr. Ley had the occasion once to check the teeth of 200 Philippine children, and even though their nutritional standards were far below ours, he found only two children with decayed teeth. One in 100 there, 94 in 100 here. Why the great difference? Candy, pop, gum and other highly refined sweets were practically non-existent in the Philippines when Dr. Ley was there, but they are consumed in huge quantities here. Aside from the statistical gap, why the fretful concern? The attitude of the day, as Mico related, was that baby teeth weren’t worth caring for, since they were just going to fall out anyway, and that adults could always replace rotten teeth with artificial sets. Dangerous misconceptions, since tooth decay in children can lead to malformed jaws and facial structures, and adults can develop bacterial infections leading to secondary diseases. One of the great mysteries in the field… is the great difficulty encountered… in initiating fluoridation of community water supplies. Adding fluoride … will reduce dental decay by 65 percent. It is not dangerous to health; does not add taste, color, odor or hardness to water, costs only 5 to 14 cents per person per yar; and is endorsed by a great many national and state health agencies. By late summer, county dentists, led by Grandpa Ley, had voted formally to take up the cause of public education and push for fluoridation, according to a September 1954 vote. Over the following months, Robert Earl Ley Jr. led the charge, presenting to the Lions Club a week after the dentists’ vote and formalizing the platform at a dentists’ meeting in October. We are not being selfish in any manner, what-so-ever (Ley said). If every dentist in this county could work 24 hours a day, seven days a week, from now on, we still couldn’t treat all the people who need treatment. We are facing a great problem and are willing to do everything we can to show the people how they can help themselves. The dentists concluded by calling on “every PTA, CCL, social and civic group, and school” to join in the cause. But the effort would play out over the course of years. A 10-year study of two New York towns, Newburgh and Kingston, found fluoridated Newburgh reported 47 percent fewer childhood cavities than its neighbor. 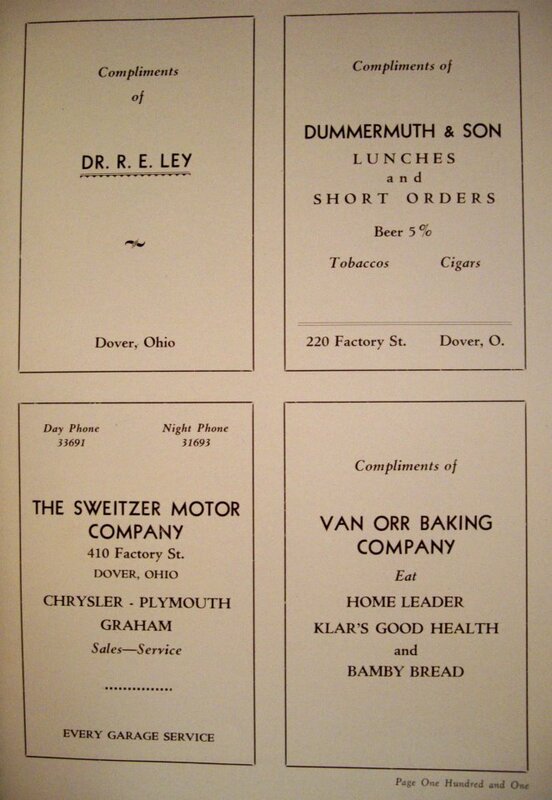 By June 1956, Ley and colleague Dr. C. R. Crawley had gained the support of the Dover Chamber of Commerce with a 43-3 vote in favor of fluoridation. But the debate would drag on, with Ley still stumping in 1957-58 before the St. Joseph’s PTA and others, even as cities including Cincinnati and Columbus had voted to reject fluoridation, in Columbus’ case by a more than 2-1 margin. Grandpa’s time on city council passed without a positive enactment of any law to move forward with fluoridation. And, at least in my search of the public record, his voice seems to go silent on the topic. A reckoning wouldn’t come until until spring 1970, when the state assembly required four towns in Tuscarawas County to vote yea or nay on fluoridation. In a March editorial that year, Harry Yockey of the Daily Reporter laid out the sides. In opposition to the measure, groups cited concerns about the damaging effects of sodium fluoride on the kidneys and bones. Opponents offered rewards to anyone who could prove definitively that fluoridation isn’t harmful. The Cincinnati Enquirer shot holes in that argument, saying it would be just as well for the public to offer a reward to prove the harmlessness of peanut butter, or milk, or unfluoridated water. Yet, debate persisted, at a time when a mere 40% of Americans received regular dental care. Cost, of course, was also a concern. Not to mention philosophical arguments against mass medication. The May 5, 1970 vote was an overwhelming “No” with all four cities, Dover, New Philadelphia, Dennison and Uhrichsville blocking any action by the state government to require fluoridation. Only two communities statewide approved the measure. Subsequent years saw more twists and turns in the debate — but no definitive resolution. In 1971, the state fluoridation law would be ruled unconstitutional. But efforts to require municipalities to act continued. In 1973, the National Kidney Foundation announced no correlation between fluoridation and kidney ailments. Cincinnati legislators OK’d the measure not long afterward (only to see it overturned in 1975). By 1974, nearly half the U.S. population drank fluoridated water. Back home, in 1974, New Phila proposed, then scrapped plans for a public forum on the topic. In Dover, it seems nothing ever came of the debate, and even today, the discussion continues. Dental Society Mourns R.E. Ley Sr. The death of my great-grandfather, Robert Earl Ley Sr., caught his family and colleagues by surprise. None more so than my grandfather, his son and dental partner, Robert Earl Ley Jr. The father and son were working alongside each other, as usual, the morning of Saturday, Feb. 7, 1959, when, according to family legend, great-grandpa Ley complained about a strange feeling in his hands while washing up. He collapsed, and died of a heart attack shortly after 11 a.m. He was 65 years old. Oddly, Robert Ley Sr. was the second Ley to die while at work. His grandfather, Augustus Ley, died of a stroke while working in his Port Washington, Ohio, dry goods store. He was just 61. And R.E. Ley Sr.’s father, Charles Henry Ley, former county treasurer, had also died of a heart attack 34 years earlier, at just 59 years old, while gardening at his home. Great-great grandfather Charles had been warned by doctors to retire and commit himself to less strenuous activity. On the day following R. E. Ley Sr.’s death, his son and fellow Tuscarawas County dentists gathered and issued a proclamation in his honor. Unanimously adopted by the Tuscarawas Dental Society in special meeting assembled, Feb. 8, 1959. BE IT RESOLVED, we do mourn our loss; we bring to his widow and to his son, Dr. Robert E. Ley Jr., who is our esteemed colleague and was his father’s associate, our sincere sympathies in their even greater loss; and finally, direct this resolution be made a part of the records of this Society, a copy thereof be delivered to his bereaved widow, Mrs. Florence A. Ley, and this resolution be printed in the daily press. Following his father’s death, my grandpa Robert Earl Ley Jr. would continue to practice dentistry in their office at 2nd and Walnut Streets for another 32 years. His stepmother, great-grandpa Ley’s widow, Florence (Jones) Ley, would reside in the apartment above the office until her death in 1984. Breaking the cycle of three generations of Ley men dying before their mid-60s, grandpa Robert Earl Ley Jr. would live to age 89, equaling the lifespan of his great-great grandfather and first Ley in America, Karl Ley. Great-grandfather Robert Earl Ley Sr. in his dental office about 1942. In 1940, he still kept his Dover home on Iron Avenue, south of the Tuscarawas River, while maintaining his dental office downtown. Proud grandpa R.E. 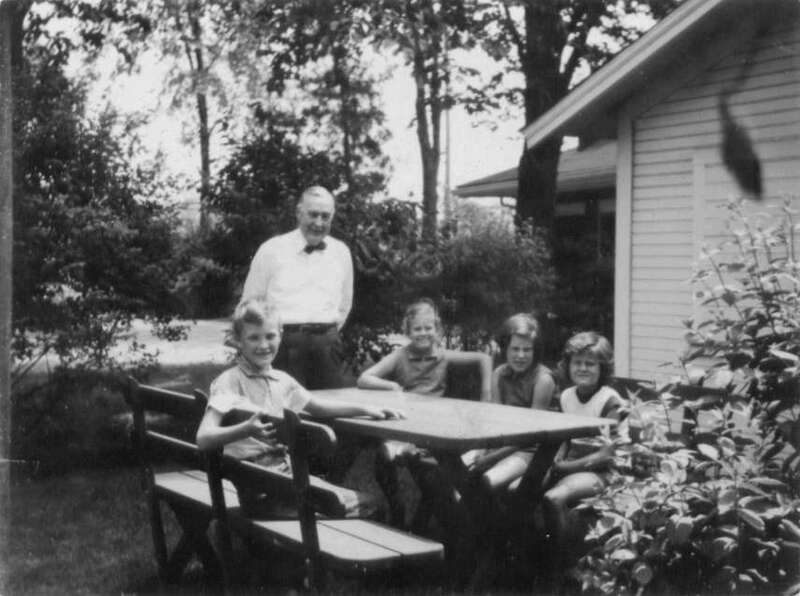 Ley Sr. and grandkids Robert III, Jeanne, Sally and Betsy at his Iron Avenue home in Dover, Ohio in the 1950s. Earlier posts on my great-grandfather, Robert Earl Ley, have related the tragic passing, at age 24, of his bride (and my great-grandmother), Zula (Fisher) Ley; the mysterious ailment that claimed the son of his second marriage, Richard “Dickie” Ley; and his own sudden death while working alongside my grandfather, Robert E. Ley Jr. at their Dover, Ohio dental office. Certainly, there are sunnier memories from Robert Earl Ley’s 59 years, such as the account related here of his passion for hunting dogs, but growing up, the tragic stories made the most vivid impression. And looking back, it’s natural to wonder what the effect such sad passings had on my great-grandfather and his family. Happily, then, comes this dispatch from relative David Wible that illustrates the “Positive Attitude Theory” of a middle-aged R.E. Ley Sr.
Dave and I have traded messages over the last couple years, mainly related to the extended trunk of the Weible/Wible tree as its roots stretch through Pennsylvania, over the Atlantic, and beyond. But this week he was kind enough to share journal excerpts from his father, David “Scoop” Wible, a contemporary of my grandparents, Robert Ley Jr. and Suzanne Abbott Weible. Both Dave and his namesake father pull off the neat trick of being a cousin to me through two branches of the family — the Leys and Weibles — and by doing so through means entirely separate from my grandparents’ marriage. Scoop’s parents — remember? — were Edwin Frederick Wible and Minnie Mae Ley. Edwin was cousin to my great-grandpa Robert Ohio Weible; his father, David (David “Scoop’s” grandfather), was brother to my great-great grandfather Franklin Eli Weible. Minnie was sister to my great-great grandfather Charles Henry Ley, so, an aunt to my great-grandfather Robert Earl Ley Sr.
Edwin and Minnie called 1028 N. Walnut in Dover home for a while, which is where my great-great-great grandpa Harriet (Powell) Ley spent her last decade. And they were patriarch and matriarch of the “model” Wible family written up in W.D. Shirk’s history of the Powells. Which is all the circuitous route for telling you: David “Scoop” Wible and Robert Earl Ley Sr. were first cousins, even though Scoop was just a year or so older than my grandparents, Bob Jr. and Sue Weible. 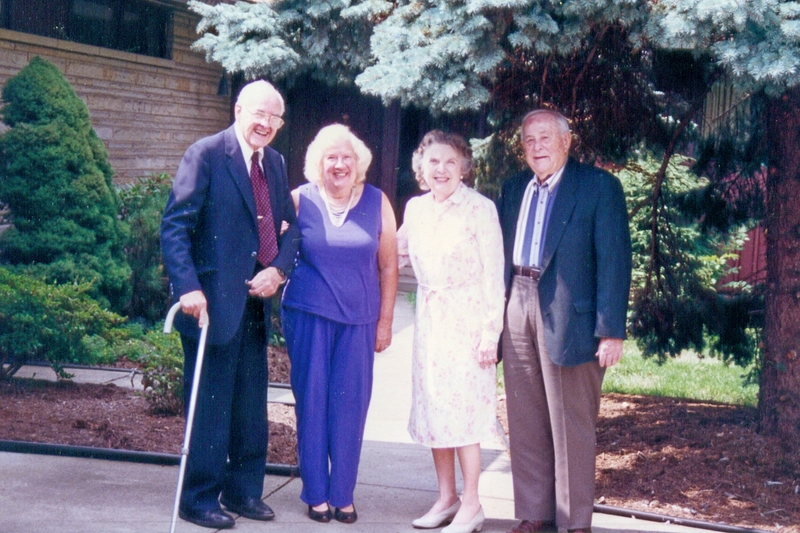 Bob and Sue Ley with cousin “Scoop” Wible and wife Dorothy at the Leys’ Dover home, sometime in the 1990s. This week, Scoop’s son shared some stories from the pen of his father. About the time of Scoop’s 90th birthday, in 2006, the family collected these tales in a volume, All Things Bright and Beautiful, and distributed these to family and friends. The first story I’ll relate here — with Dave’s blessing — covers Scoop and friends’ adventures in their old Dover swimming spots. But for the middle paragraphs, Scoop relates some of the wit and wisdom of his 23-years-older cousin, and in these sentences, a young great-grandpa Ley seems to step right off the page and speak to you. clearing on the banks of the Tuscarawas River which was called “Yonkers”. since swimming at “Yonkers” was exclusively “skinny dipping”. in a few more years..!!! Which all reminds me of one of the theories of my cousin, Dr. Earl Ley. Earl was not only a very good dentist but also one mighty fine human being. across stream until his head surfaced at the opposite shore. and popcorn stand”. Knowing Earl, he would have–and been successful too. White Bridge where there was a swimming hole a class above “Yonkers”. bottom it was rock–not oozy mud. thankfully Dover was reluctant to part with ways so filled with nostalgia.